The modelling of mechanical systems provides engineers and students with the methods to model and understand mechanical systems by using both mathematical and computer-based tools. Written by an eminent authority in the field, this is the second of four volumes which provide engineers with a comprehensive resource on this cornerstone mechanical engineering subject. 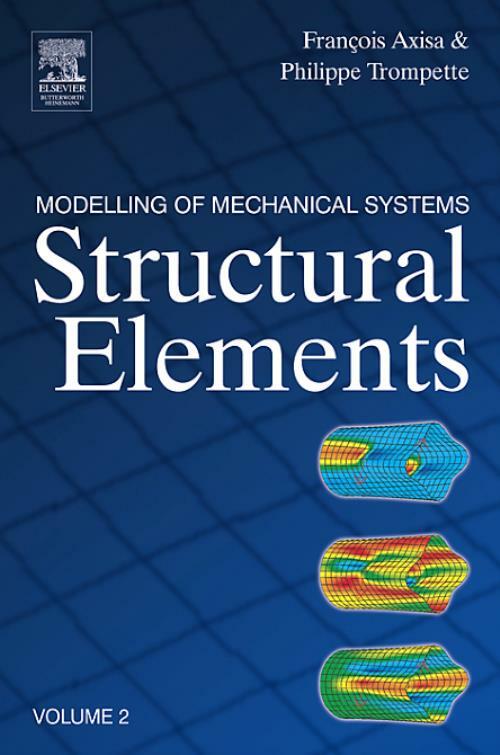 Dealing with continuous systems, this book covers solid mechanics, beams, plates and shells. In a clear style and with a practical rather than theoretical approach, it shows how to model continuous systems in order to study vibration modes, motion and forces. Appendices give useful primers on aspects of the mathematics introduced in the book. Other volumes in the series cover discrete systems, fluid-structure interaction and flow-induced vibration. François Axisa is Professor of Mechanical Engineering at ENSTA, France, and holds a research post in flow-induced vibration problems at Centre d'Etudes Nucleaires de Saclay, France. He is the author of more than 50 papers on vibrations, damping and associated subjects and has been involved in numerous international conferences and meetings.